Hey lovelies! 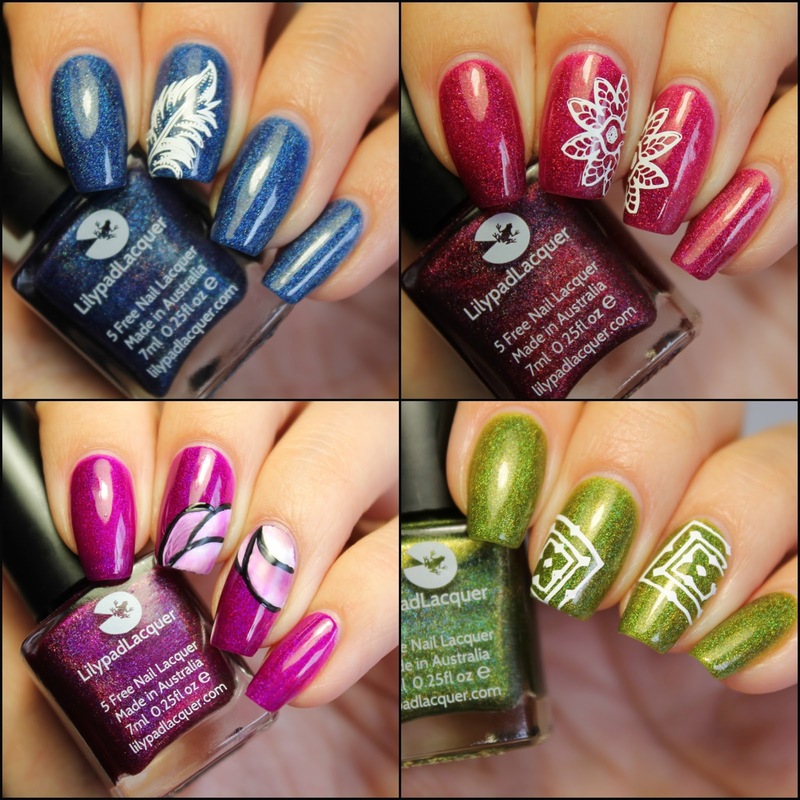 I am back again to show you some beautiful swatches! 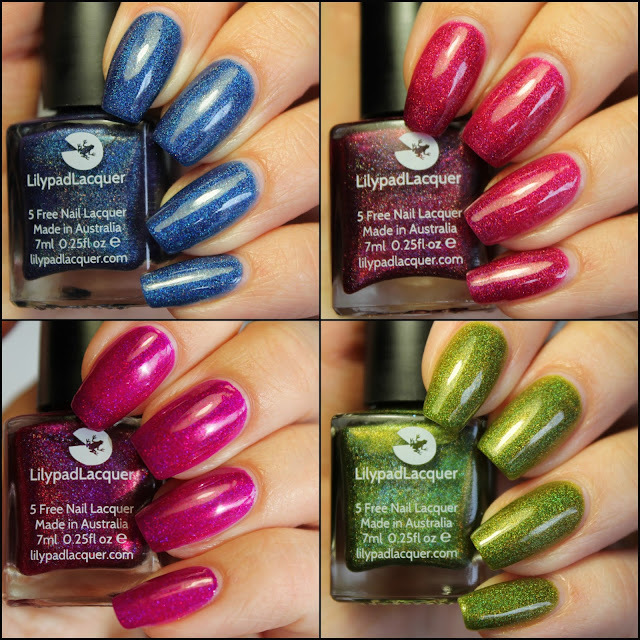 This time I gladly received four gorgeous holographic polishes by the sweet Nicole at Lilypad Lacquer, to swatch for you guys! The brush is perfect and the lacquer is really easy to apply. Two coater, three tops and looks amazing! I will now show you the swatches but I will comeback with the same shades later on when the sun comes out, to show all the HOLO-rainbow goodness of it! From left to right, top to bottom, we have Atlantis, Bohemian Gypsy, Crazy Beautiful and Weed. Now the plain swatches are followed by some simple nail art using the same colors in the same order.